Diabetes is not a single homogeneous disease but composed of many diseases with hyperglycaemia as a common feature. Four factors have, historically, been used to identify this diversity: the age at onset; the severity of the disease, i.e. degree of loss of beta cell function; the degree of insulin resistance and the presence of diabetes-associated autoantibodies. Our broad understanding of the distinction between the two major types, type 1 diabetes mellitus and type 2 diabetes mellitus, are based on these factors, but it has become apparent that they do not precisely capture the different disease forms. Indeed, both major types of diabetes have common features, encapsulated by adult-onset autoimmune diabetes and maturity-onset diabetes of the young. As a result, there has been a repositioning of our understanding of diabetes. 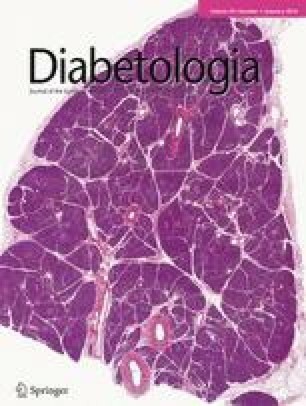 In this review, drawing on recent literature, we discuss the evidence that autoimmune type 1 diabetes has a broad clinical phenotype with diverse therapeutic options, while the term non-autoimmune type 2 diabetes obscures the optimal management strategy because it encompasses substantial heterogeneity. Underlying these developments is a general progression towards precision medicine with the need for precise patient characterisation, currently based on clinical phenotypes but in future augmented by laboratory-based tests. The term ‘diabetes’, meaning a ‘fountain’ (of urine), is a term forged in ignorance. From the earliest years it was recognised that ‘honey urine’, that is, diabetes mellitus, was a condition distinct from other forms of polyuria. But with the discovery of insulin, and the knowledge that all patients with diabetes responded to insulin injections, a single cause, that is, insulin deficiency, seemed the likely single pathology. Subsequently, we came to the view that there were two major types of diabetes defined by two features, namely the age at diagnosis and the obligatory need for insulin therapy. However, it is clear that what you see (clinically) is neither what you get (in terms of pathogenesis), nor what you should do (therapeutically) [1, 2, 3]. This review highlights areas of uncertainty in distinguishing the two main types of diabetes, indicating how further characterisation by laboratory tests can impact disease management. Diseases like diabetes gain their identity from their clinical phenotype, historical precedent, genotype and specific environmental causes. This approach has led to a classification of diabetes as type 1 diabetes, type 2 diabetes, monogenic diabetes, gestational diabetes, and other specific disease forms [1, 2]. Disease classification should contribute to an understanding of (1) aetiology, (2) the natural history of that disease, (3) pathophysiology, (4) the disease consequences, and (5) treatment of the condition. Ideally, disease identity is defined by categorical features, specific (exclusive) to that type of diabetes. The definition of type 1 diabetes is clinically exclusive, encompassing patients with diabetes-associated autoantibodies (DAA) plus, when diagnosed outside a surveillance programme, insulin dependence. Difficulty arises when patients with clinical type 2 diabetes have immunogenetic characteristics of type 1 diabetes. These patients are diagnosed with latent autoimmune diabetes in adults (LADA), also called slowly progressive insulin-dependent diabetes (SPIDDM) or type 1.5 diabetes [3, 4, 5]. Guidelines assign all patients with DAA, including those with LADA, to type 1 diabetes. Three classes of biomarkers (immune, metabolic, genetic) characterise type 1 diabetes (Fig. 1): (1) DAA, (2) C-peptide levels as a proxy for levels of insulin secretion, and (3) HLA genotypes. Allied to childhood onset and clinical insulin dependence at diagnosis, the presence of DAA in an individual with high-disease-risk HLA genotypes and very low C-peptide levels categorically identifies type 1a diabetes . However, no single factor is specific for type 1 diabetes: HLA genotypes are sensitive but not specific markers; DAA can be found in other conditions, including 1% of the normal population, as positivity is defined as a signal above the 99th percentile; age and C-peptide levels are continuous variables; and starting insulin therapy is often at the physician’s whim . While type 1 diabetes is associated with childhood-onset diabetes but most commonly diagnosed in adults, maturity onset diabetes of the young (MODY) is clinically like adult-onset diabetes but most commonly diagnosed in children, responsible for some 5% of all diabetes cases in Europe in individuals under the age of 40 [3, 7]. In a given family, index cases must be young age at onset and not insulin dependent. At least 13 genes are implicated in MODY (also known as monogenic diabetes), and genetic types of MODY have distinct causes and different clinical features . Even more infrequent are other monogenic causes of diabetes, such as neonatal diabetes and maternally inherited diabetes and deafness. Common chronic diseases such as type 2 diabetes tend to have a complex aetiology that cannot be encapsulated by a single feature. Indeed, type 2 diabetes broadly encompasses any form of diabetes that is not type 1 diabetes, MODY or secondary diabetes . Thus, the definition of type 1 diabetes is clinically exclusive, while the definition of type 2 diabetes is inclusive, without any defining feature beyond a lack of DAA. Genetic aetiology is the hallmark of disease classification, and identifying monogenic diabetes has transformed our ability to classify the disease. Both MODY and the ‘metabolically obese–normal weight phenotype’, associated with a variant of the IRS1 gene, are such unusual examples of genetic ‘type 2 diabetes’ . The most common form of MODY in Europe is caused by mutations in the HNF1A gene (encoding hepatocyte nuclear factor 1α) gene (HNF1A), and identifying such cases is important as insulin treatment is not essential and they are hypersensitive to sulfonylureas . Monogenic diabetes also encompasses autoimmune diabetes, e.g. activating germline mutations in STAT3 , but these monogenic forms are rare. The major diabetes subtypes are not monogenic but polygenic. Genome-wide association studies (GWAS) have revealed that each major type of diabetes has at least 50 associated genetic factors, so it follows that the complexity of genetic susceptibility confounds efforts to genetically classify diabetes [1, 2]. Nevertheless, genetic polymorphisms associated with type 1 diabetes relate to T lymphocyte function, not beta cell function, whereas in type 2 diabetes the converse is true [1, 9]. However, a TCF7L2 polymorphism associated with insulin secretion has a strong genetic association with type 2 diabetes and with LADA [3, 10] (Fig. 1). In type 2 diabetes there is no evidence that a single gene variant influences the disease sufficiently to warrant genotyping . However, further studies are under way to identify rare variants that might contribute to genetic risk. The value of defining diabetes type is to guide physicians towards appropriate treatment. Diabetes used to be defined by age at onset (childhood or adult-onset), clinical phenotype (lean or obese) or treatment (insulin-dependent or not insulin-dependent). But, while these categories broadly describe groups, they are insufficient to pigeonhole individuals. The metabolic syndrome, a proxy for insulin resistance, is found in about 30% of adult type 1 diabetic patients ; while some childhood-onset diabetes cases have MODY or type 2 diabetes, potentially not requiring insulin [3, 7, 8]. Even diabetic ketoacidosis is neither specific nor sensitive as a marker of type 1 diabetes in that ketoacidosis occurs infrequently and can be due to type 1b diabetes or ketosis-prone diabetes, primarily a variant of type 2 diabetes, reflecting how different diseases can share common phenotypes . A proportion of patients (5–15%) have LADA and are initially not insulin-dependent but have both diabetes-associated HLA genetic risk and DAA [3, 4, 5, 13, 14]. Since DAA are characteristic of type 1 diabetes, irrespective of insulin treatment, it is an oxymoron to write about autoantibody-positive type 2 diabetes. Even patients with MODY have highly variable clinical phenotypes, some requiring insulin therapy, though most do not . The burgeoning prevalence of obesity, reflecting a maladapted phenotypic plasticity, limits its value as a marker of type 2 diabetes, notably because it is increasingly found in children [2, 15]. There is extensive evidence of inflammatory changes associated with both major types of diabetes, some of which (e.g. islet antigen-specific DAA) delineate patients with more aggressive disease (Fig. 1). There is no evidence that systemic inflammatory markers can identify each type of disease. While obesity is associated with activated macrophages and altered cytokine expression (e.g. TNF-α), monocyte gene expression is altered in both major diabetes types (including LADA as type 1 diabetes) . Systemic inflammation, notably IL-6, the upstream regulator of C-reactive protein, is greater in type 2 diabetes than in type 1 diabetes (including LADA) . But overlap is considerable and currently precludes any classification value. T cells reactive to biochemically defined islet antigens and their immune mediators are associated with loss of beta cell function in type 1 diabetes . Using a T cell proliferation assay, cellular immunoblotting (CI), validated to have excellent sensitivity and specificity for differentiating classical type 1 diabetes from normal controls , one of us (J. Palmer) initially observed that LADA patients were positive for CI, similar to type 1 diabetic patients . Some patients with apparent ‘type 2 diabetes’ who were DAA negative were CI positive, and in these patients T cell reactivity to islet antigens was associated with more severe beta cell dysfunction, indeed, this association was stronger than that for autoantibody positivity . While acknowledging that such immune reactivity to islet cell proteins must be validated, islet autoimmunity may contribute to a greater decline in beta cell function even in some type 2 diabetic patients (Table 1). DAA remain the most striking markers in diabetes, even predicting autoimmune diabetes. The younger a child with the HLADR3-DQ2/DR4-DQ8 genotype, the higher the DAA risk . DAA, especially to GAD65, largely define LADA, which is the most common form of type 1 diabetes . Multiple autoantibodies or high titre DAA identifies patients with a more rapid loss of insulin secretory capacity, whether in prediabetes, childhood type 1 diabetes or LADA. Type 2 diabetes has no comparable disease-defining marker. Classification of diabetes in clinical practice relies on ‘salami slicing’ the continuum represented by the insulin secretion–insulin sensitivity relationship, so that those with severe loss of insulin secretion have type 1 diabetes, while those with low insulin sensitivity, but only moderate loss of insulin secretion, have type 2 diabetes. However, as with all organ-specific autoimmune diseases, damage to the target organ in type 1 diabetes is variable and highly age-dependent, being worse in childhood-onset than in adult-onset disease. Factors associated with this differential progression include age at diagnosis, HLA and non-HLA alleles, multiple DAA, high DAA titre or affinity, and T cell immune reactivity [1, 6, 13]. To distinguish patients with insulin-dependent diabetes from those who may not need insulin, e.g. MODY patients, a random serum C-peptide <200 pmol/l 3 years post diagnosis can help stratify cases for further study . C-peptide is superior in children to age and obesity in discriminating between autoimmune and non-autoimmune diabetes, the areas under the receiver operating characteristic curves being 0.78, 0.68 and 0.66, respectively . C-peptide levels also affect disease outcome. The Diabetes Control and Complications Trial found that 50% increased C-peptide secretion was associated with lower HbA1c, hypoglycaemia risk (down 8.2%) and risk of sustained retinopathy (down 25%) . Slower C-peptide loss in adults than children, whether with type 1 diabetes or type 2 diabetes, is probably due, in part, to a lower genetic load [1, 9]. In Europe and China, among patients with autoimmune diabetes, adults are less likely than children to have high-risk or moderate-risk HLA alleles [13, 24]. Since beta cell loss is less severe in type 1 diabetes with increasing age at diagnosis, it follows that autoimmune diabetes in adults may be metabolically indistinguishable from type 2 diabetes, as recently found in LADA patients matched for BMI using a range of sophisticated tests . However, the metabolic syndrome, a proxy for insulin insensitivity, is far more prevalent in type 2 diabetes (∼89%) than type 1 diabetes (∼32%), including LADA (∼42%) . Islet autoimmunity in early childhood, especially for multiple DAA or for insulinoma-associated antigen-2 autoantibodies, is strongly linked to rapid disease progression [1, 26]. In diabetic children, those with DAA had greater C-peptide decline (48%/year) than those without DAA-negative children (∼8%/year) . Importantly, this decline was independent of demographics, HLA risk, BMI and insulin resistance; while in children with non-autoimmune diabetes, there was marked heterogeneity, suggesting a mixed group, with a mean rate of decline in C-peptide comparable to adult type 2 diabetes (∼8%/year). We know little of the immune factors influencing disease progression in type 2 diabetes. However, a small pilot study of phenotypic ‘type 2 diabetes’ patients without either DAA or CI at baseline showed that a substantial percentage developed DAA and/or CI during 3 years’ follow-up, while positivity for CI was associated with more rapid beta cell decline [20, 21]. By implication, islet autoimmunity, distinct from LADA, may contribute to the pathophysiology of type 2 diabetes. A recent study of type 2 diabetic patients diagnosed either by increased fasting glucose concentrations or 2 h post-load glucose concentrations, or both, had distinct cardiometabolic risk . Those patients with both high fasting and 2 h glucose, compared with the other two groups, had higher BMI, higher HbA1c, greater insulin secretory decompensation and higher cardiovascular risk. By implication, diabetes and cardiovascular risk factor management should be more aggressive in the former. For any given individual with diabetes, there is substantial variability in the nature of their disease, risk of complications and response to any given drug (Table 1, Fig. 1). More personalised disease targets, captured in recent management guidelines, matches personalised targets with personalised therapy, and, taken together, calls for more precise disease definition . The management of both major types of diabetes are conventionally distinct; for one, drugs are introduced before insulin therapy and for the other the reverse, yet both involve a step-up policy in which the regimens are increasingly complex should targets not be achieved. But, with difficulty in classifying diabetes type comes uncertainty in deciding the best therapy. Patients with type 1 diabetes may not initially require insulin, especially when diagnosed as LADA. Insulin-treated patients, irrespective of diabetes type, may benefit from metformin, incretin-based agents and sodium-glucose transporter inhibitors . For example, an incretin-based agent (exenatide) compared with placebo, when added to insulin glargine (A21Gly,B31Arg,B32Arg human insulin) therapy, lowered HbA1c by an additional 0.7% . Identifying DAA is a valuable test for disease management as they are characteristic of a form of autoimmune diabetes, especially in adults, which is often inappropriately treated and that requires more frequent review and a different perspective. Patients with autoimmune non-insulin-requiring diabetes, including LADA, should be started on insulin or an incretin-based therapy or, potentially, a combination of the two. Sulfonylurea treatment should likely be avoided, as patients on this class of drugs have a faster loss of insulin secretory capacity than when treated with insulin . Autoimmunity does not equate with insulin therapy, as indicated by a Phase 2 study of adult patients with autoimmune diabetes; the combination of gliptin plus insulin was superior at sustaining C-peptide than insulin alone . Although patients with typical type 1 diabetes at all ages presenting with ketoacidosis require immediate insulin therapy, not everyone with adult-onset autoimmune diabetes such as LADA, need progress to insulin therapy; in one study, 44% were still not on insulin after 12 years of disease . However, disease progression to insulin treatment is more rapid in LADA than with type 2 diabetes, as reported by all major European LADA studies to date [4, 5, 35, 36]. Moreover, the former consistently have higher HbA1c levels than the latter (OR 1.8 in Sweden) . Clearly, we do not manage these patients as well as those with non-insulin requiring non-autoimmune diabetes (i.e. type 2 diabetes). Finally, autoimmune diabetic patients, irrespective of age, have a substantially increased risk of thyroid and parietal cell autoimmunity . The presence of DAA should encourage regular review of comorbidities and the quality of glycaemic control. As the loss of beta cell function is strongly age-dependent and young patients predominantly have autoimmune diabetes, therapeutic decisions are usually made without recourse to testing for DAA or C-peptide. This approach courts error, notably in children, in whom the prevalence of obesity and both type 1 and type 2 diabetes have increased dramatically. By measuring DAA initially and C-peptide subsequently, it is possible to identify, as appropriate, patients with MODY, type 2 diabetes in children, non-insulin-requiring autoimmune diabetes and non-autoimmune diabetes without the metabolic syndrome—potentially some 20–30% of all diabetes patients diagnosed under 40 years of age . Such a definition also has utility for setting targets and therapy because cardiovascular complications differ between the major types of diabetes, e.g. guidelines offer statins to type 2 diabetes cases at an earlier age. A recent study of patients with apparent long-standing type 2 diabetes found that those with DAA or with low C-peptide did not respond as well as the remainder to a glucagon-like peptide 1 (GLP-1) agonist . Patients with type 2 diabetes who do not have the metabolic syndrome (∼10%) will have a lower cardiovascular risk but are candidates for earlier insulin therapy . Further studies of a range of factors implicated in disease progression should define those which merit intervention, including metabolic and oxidative stress, amyloid deposition and islet integrity associated with hyperglucagonaemia and diminished incretin effect  (see text box: Potential future studies in adult-onset diabetes). Even the titre of DAA can impact disease progression, e.g. in a Chinese study, low titre DAA patients had a similar rate of loss of C-peptide after diagnosis as did patients with type 2 diabetes [41, 42]. Irrespective of the type of diabetes, individuals with a high personal cardiovascular risk should be more aggressively treated for macrovascular risk factors. For example, central obesity, found in almost one-third of children with type 1 diabetes, was associated with early macrovascular risk markers , while a family history of diabetes in young type 2 diabetic patients is associated with an enhanced risk of decreased insulin sensitivity . Research efforts could be focused on classification of diabetes subtypes in the context of non-autoimmune and non-insulin-requiring diabetes (see text box: Potential future studies in adult-onset diabetes). The most dramatic impact of disease definition on disease management is shown by MODY (see text box: Matrix of treatment options based on laboratory tests and the potential value of each therapeutic decision). Before they are identified as having MODY, many young patients have their glucose levels managed with insulin when they could be switched to other agents including sulfonylureas [3, 7]. Moreover, their families can also carry and transmit the MODY-related gene. Hepatic nuclear factor 1α (HNF1A) MODY is one of the most common forms of MODY. A crossover trial of metformin and sulfonylureas in patients with type 2 diabetes and HNF1A MODY established that the latter have a fivefold greater response to the sulfonylurea gliclazide than to metformin (fasting plasma glucose reduction 4.7 vs 0.9 mmol/l) and a 3.9-fold greater response to gliclazide than patients with type 2 diabetes . Patients vary in their tolerance and response to drugs (see text box: Matrix of treatment options based on laboratory tests and the potential value of each therapeutic decision). Medication–gene interactions for glycaemic outcomes has identified examples , including (1) metformin and SLC22A1, SLC22A2 and SLC47A1 loci; and (2) sulfonylureas and CYP2C9 and TCF7L2 loci. Sulfonylureas are primarily inactivated in the liver by the cytochrome P450 2C9 enzyme; as 6% of the population carry two reduced function polymorphisms, they should inactivate sulfonylureas poorly, and patients with these variants are three times more likely to have an HbA1c of below 53 mmol/mol (7%) . Metformin is an organic cation actively transported by a variety of such transporters, which could account for the 34% heritability of glycaemic response to metformin . In due course, the value of genetics should be realised not only in defining subtypes of diabetes, including MODY, but also by identifying differential disease outcomes and appropriate therapeutic strategies based on trials of highly selected cases.